Well, hello again, blog friends. You might say I’ve treated friends with little consideration to be so long absent from the blogosphere. I’ve thought of many excuses: a demanding fulltime job, the distraction and time demands of self-publishing a novel, trying to make some effort to be a good wife-mother-daughter-grandmother. All reasonable and true, but not really valid reasons to neglect this part of my writer life! 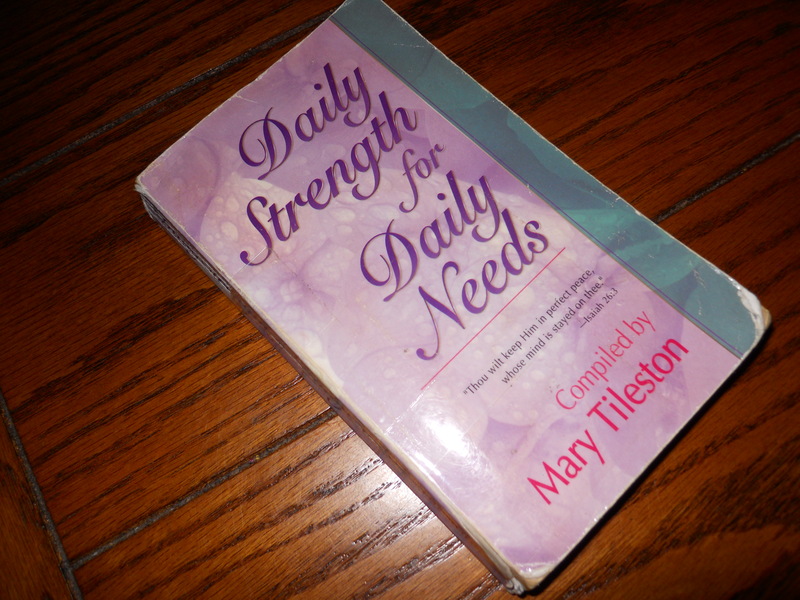 My contrition was stimulated in part by a devotional thought this July 1 from my trustworthy book pictured above. That day’s thoughts were all about perseverance. Remembering all the times I have prayed for the strength to persevere, my heart was convicted that blogging is a test of that ability. Oh, yes, there are other important areas in which it is important to persevere–one’s faith, family relationships (even when somewhat dysfunctional), the continuous learning required in one’s profession, cultivating friendships–to name a few. But the commitment to contribute to my little corner of the digital world should not be taken lightly. I began this adventure with selfish motives–to build a platform and get my book published. With the decision to self-publish (a process which is well underway and responsible for many of the afore-mentioned distractions and demands), platform slipped on the totem pole of priorities. The past few days I have been bothered by the nagging truth that blogging and the discipline necessary to this form of self-expression is an important measure of my ability to persevere. Next postA dream coming true. . . . .